Recycling is a relatively easy, low effort way to feel good about helping the environment- much easier than giving up driving a car, for example. However, is recycling actually helping the environment, and is it helping us economically? After several decades of recycling neglect voluntary recycling returned in the 1970s and made a difference, both environmentally and economically. According to the EPA, in 2014 (the last year for which records are available) Americans generated 258 million tons of trash, of which 89 million tons were recycled or composted. This equates to 34.5 percent recycled. This is a 600 percent increase from the 15 million tons recycled in 1980. Additionally, the recycling industry had 1.25 million jobs in 2017. Although these positive numbers are impressive there is a negative side to the data. If 258 million tons of trash were generated, and only 89 million tons were recycled, 169 million tons went directly into landfills. Clearly almost five decades of voluntary recycling has not made landfills obsolete! Although polling results indicate that two thirds of Americans say that they at least do some recycling, very few Americans recycle everything. Apparently there are three types of recycling people: those that recycle fully, or close to fully, those that recycle partially, and those that do not recycle at all. The two latter groups are much bigger than the first group. Many Americans who do not recycle seem to be aware that not everything that is recycled is actually reused- therefore why should they recycle when the supposedly recycled materials end up in landfills? Apparently the technology needed to breakdown certain product categories (like plastics) is not yet available. However scientific and engineering advances are being made, so that at some point all commercially made products can be broken down for reuse, eliminating this reason for not recycling. Currently, however, everyone that will voluntarily recycle fully or near-fully has already done so; everyone else needs to be “forced” to recycle, if society deems that full recycling is a worthy goal. Libertarians will ask why non-recyclers should be forced to recycle. After all, we have free choice in this country, and those who do not recycle are presumably not harming others by not recycling. However, in fact those that do not recycle are indirectly hurting us all. 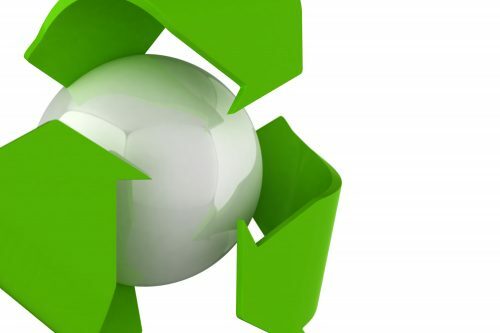 Recycling significantly reduces energy use, and therefore energy costs. EPA statistics indicate that the trash recycled saved the energy equivalent of 15 billion gallons of gasoline. Numerous studies have shown that reusing recycled commodities to produce new products uses much less energy. For example, using recycled aluminum to produce aluminum products uses 90 percent less energy than mining and refining aluminum from ore. If everyone recycled everything, all of us would pay less for energy. How can people be “forced” to recycle? It is always difficult to get massive numbers of people to change their behavior. However, in this case the solution is relatively simple. Most people contract with waste management companies to take away their trash, and these companies have established curbside recycling programs. Three months before the implementation of a mandatory recycling program, waste management companies could send out notices to all their customers, announcing that they will no longer pick up trash unless customers participate in the recycling program three months hence. If customers fail to participate starting on the due date, the companies will no longer pick up their trash. As soon as customers indicate their willingness to recycle, service will be restored. After 3 months of minimal recycling participation, the expected percentage of recycled trash can be raised, with the same penalty imposed for lack of compliance. Several more rounds of mandated increasing percentages could occur. After a year or two most people would be recycling at a high level in order to maintain their garbage service. Total recycling would quickly become a natural part of everyone’s life, as it was in WWII. The ultimate purpose of mandating recycling goes beyond recycling. Democratic societies thrive when there is a balance between individual rights and collective responsibilities. The United States has become a country that has an over-emphasis on rights with very few mandated collective responsibilities for all citizens, such as no mandatory voting and no universal draft for service to country. Mandatory recycling could remind us all that we owe something to this great country that we live in.